The Educational Theatre Association is pleased to announce that Allison Dolan has joined the organization as Chief Content Officer as of April 1. As CCO, Dolan will lead all content operations supporting EdTA’s mission. Previously, Dolan spent 19 years at F+W Media, with her most recent role overseeing the publisher’s Cincinnati-based brands, including Writer’s Digest, Family Tree, and Popular Woodworking. At F+W, Dolan led and provided oversight for publications, marketing and communications, online education, and events. Dolan also has extensive editorial experience; she served as editor in chief of Family Tree Magazine for almost a decade and earned her journalism degree from Ohio University. 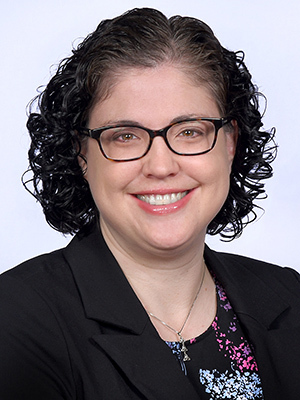 Dolan, who has a personal connection to high school education and theatre through her family and strongly believes in EdTA’s mission says she is excited for the opportunity to work in a growing and dynamic organization with enthusiastic colleagues who make a difference in people’s lives. Dolan is a native of Dolan is a native of Cincinnati, Ohio, and resides with her husband, Matthew, and children Emma, Eóin and Declán in Cincinnati.